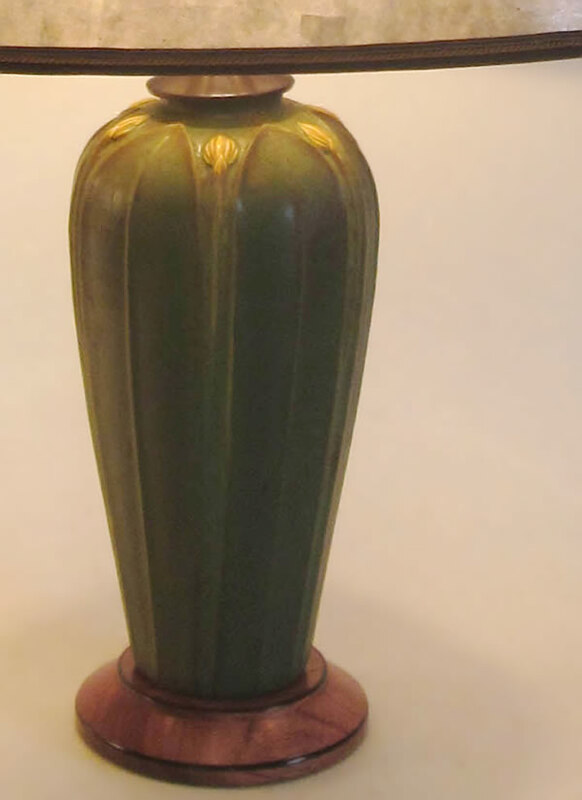 Simple but stately, this Ephraim Faience piece is aptly named “Integrity”. 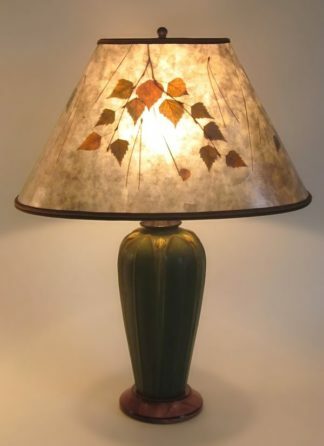 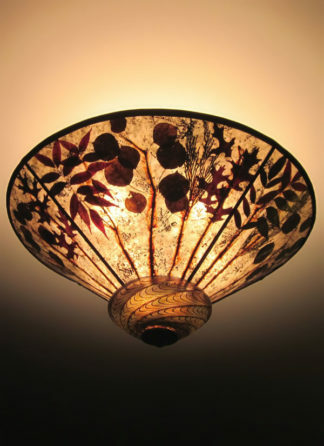 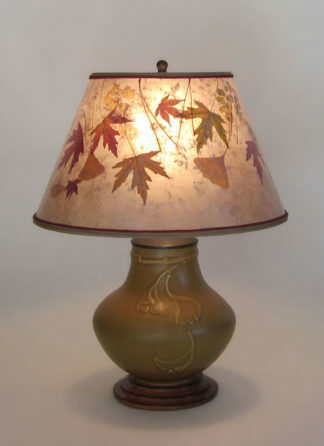 We have paired it with an oval mica lamp shade with cascading yellow and green Fall birch leaves. 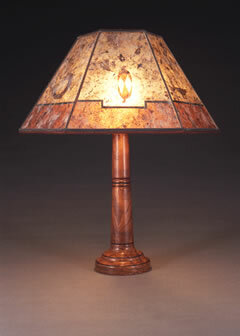 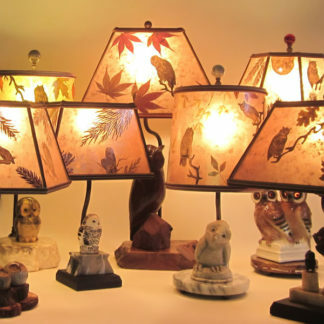 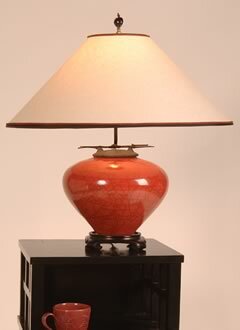 This is an excellent lamp for desks, night tables, dressers, and because of it’s oval shade, for shelves and narrow tables.